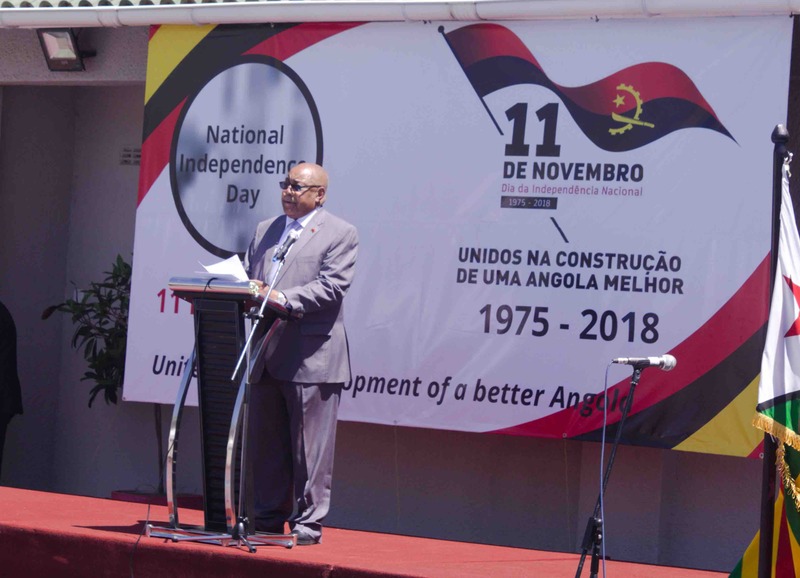 Mr V. A Chikanda, Chairperson of the Zimbabwe Institute of Diplomacy joined Members of the Diplomatic Corps, the Corporate World and Government Officials in celebrating the 43rd Anniversary of the Independence of the Republic of Angola at an auspicious event held on 12 November 2018 at the Official Residence. “Angola and Zimbabwe enjoy robust economic and political ties. The relationship between the two countries dates back to the days of the liberation struggle”, H. E Pedro Hendrick Vaal Neto said. The Ambassador also noted President Mnangagwa’s visit to Angola was a sign of excellent relationship between the two sister nations. Relations between the two countries continue to grow from strength to strength.